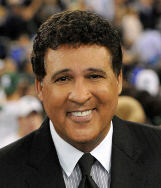 Fresh off another highly-rated NFL season, Greg prepares to begin hosting duties for CBS' coverage of college basketball and, in March, the new cooperative venture with Turner Sports in covering the NCAA Men's Basketball Tournament. The tournament culminates in Houston with Greg hosting the Final Four and the NCAA Championship Game with analysts Greg Anthony and Seth Davis. 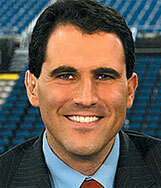 In just a short time, and at a relatively young age, Seth Davis has established himself as one of the most accomplished and respected voices in the worlds of print and broadcast journalism. Seth is also an experienced Master of Ceremonies and public speaker whose motivational message “Define Yourself” is tailored to resonate with young and older audiences alike. 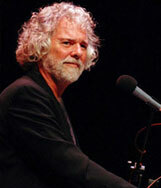 Chuck Leavell has been pleasing the ears of music fans for more than 30 years now. His piano and keyboard work has been heard on the works of Eric Clapton, The Rolling Stones, The Black Crowes, George Harrison, The Allman Brothers Band, The Indigo Girls, Blues Traveler, Train, Montgomery-Gentry, Lee Ann Womack and many, many more.